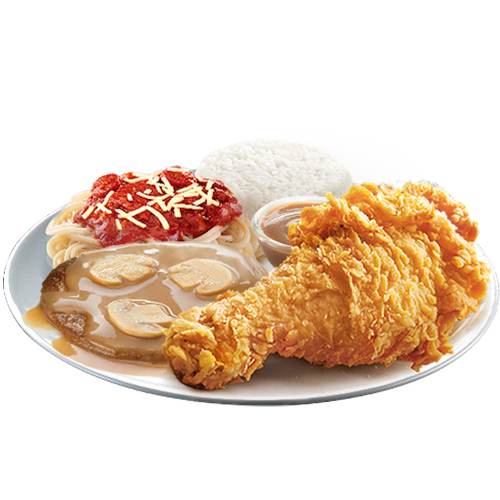 Remember the days when you couldn’t decide what to order among your favorite Jollibee meals? 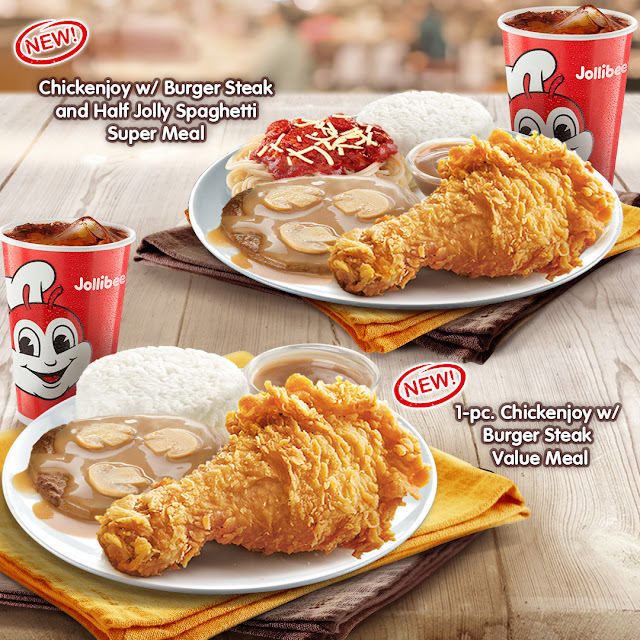 Well, you can now enjoy more of your Jollibee offerings in one plate with the new Chickenjoy and Burger Steak bundles! Now, choosing among your favorite Jollibee meals is easy because you can have them in a single value meal. Indulge in the crispylicious, juicylicious goodness of Chickenjoy paired with gravy and rice and the 100% beefy-linamnam Burger Steak patty with its signature mushroom gravy. Still feeling hungry? You can choose to add the cheesiest, meatiest, sweet-sarap Jolly Spaghetti to round out your super busog, super sulit meals, and both of which come with a drink! For more information on Jollibee latest products and promos, like Jollibee Philippines on Facebook and follow @Jollibee on Twitter and Instagram.